Post medieval silver groat of Charles II, undated issue, 1680-5. Spink 3383. Pierced. A Post Medieval silver undated twopence of Charles II (AD 1660 - 1685). Spink number 3388. 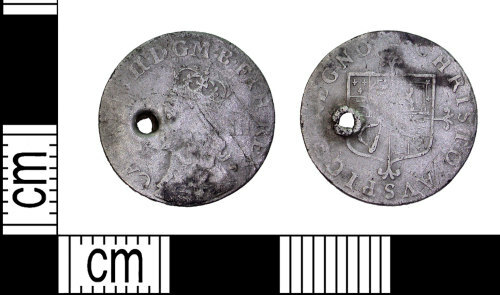 A silver post medieval fourpence of Charles II dating to the year AD 1680. Cf. Spink, p. 333, no. 3384.